Oddly… stress isn’t always a bad thing. Rather, it’s a vital survival process that allow us to run away from danger or get ready to fight back. Pressure can motivate us and help us get through cramming all night long for an important exam or getting an important work project finished. There is a time and a place for stress. The big problem today is that we’re under too much stress and feel it almost all the time. That’s when tension can become very dangerous and even deadly. 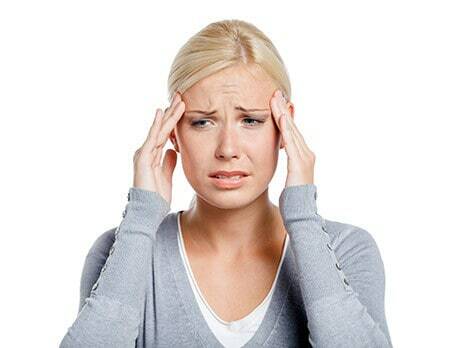 Tension tends to be categorized into two different types of stress. Acute stress and chronic stress. Acute stress is what you feel when you’re in a dangerous situation. When your house catches on fire, and you barely get out, you’re feeling acute stress. While it takes a toll on the body, it’s not nearly as dangerous and deadly as chronic stress. This is the type of constant stress all day long that I described at the beginning of this post. It simply starts to wear out the body and will do damage to your heart, your arteries, and even your gut and your immune system. Stressed people frequently suffer from high blood pressure, heart disease, stomach and digestive problems, ulcers, and due to the lowered immune system, they are more susceptible to various bacterial and viral infections like cold and flu. Add to that the fact that high stress is often accompanied by insomnia it’s no wonder we feel bad. Stress makes it harder to heal and recover from any injury or sickness. And, it’s clear that pressure is dangerous and something we need to address. It’s important to focus on reducing stress as much as we can and find ways to cope better. We have to actively make time for relaxation to give our body a chance to recoup and recover. While there isn’t always a lot we can do about external stressors, there is a lot we can do to counterbalance from yoga and meditation, to getting more sleep and cutting back on distractions. With of all the damage daily chronic tension can do to your body and the negative effect it can have on your overall health and wellbeing, are you ready to embrace rest and relaxation? If so, watch for the posts where we take a closer look. For now, simply start to become more aware of all of the stress you’re getting — daily. And, now it’s much easier to start addressing the problem once you’ve become aware of it.